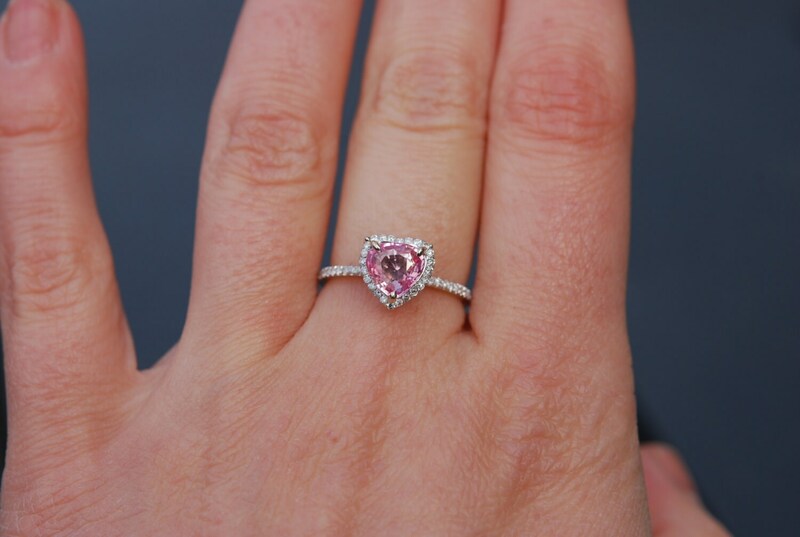 Pink heart sapphire engagement ring. White gold engagement ring. 1.02ct Heart shape sapphire 14k white gold diamond ring. 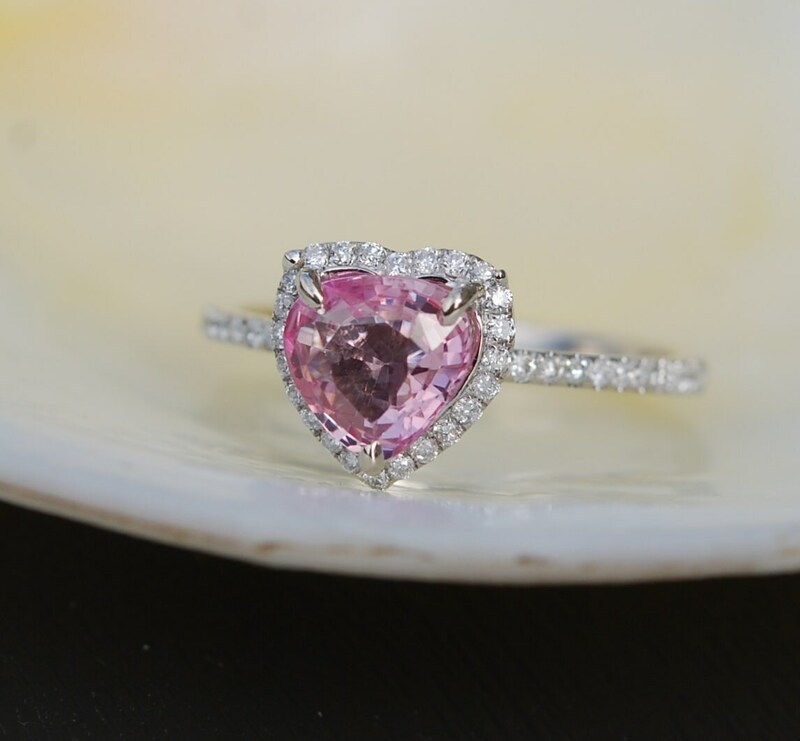 Pink heart Sapphire engagement ring. 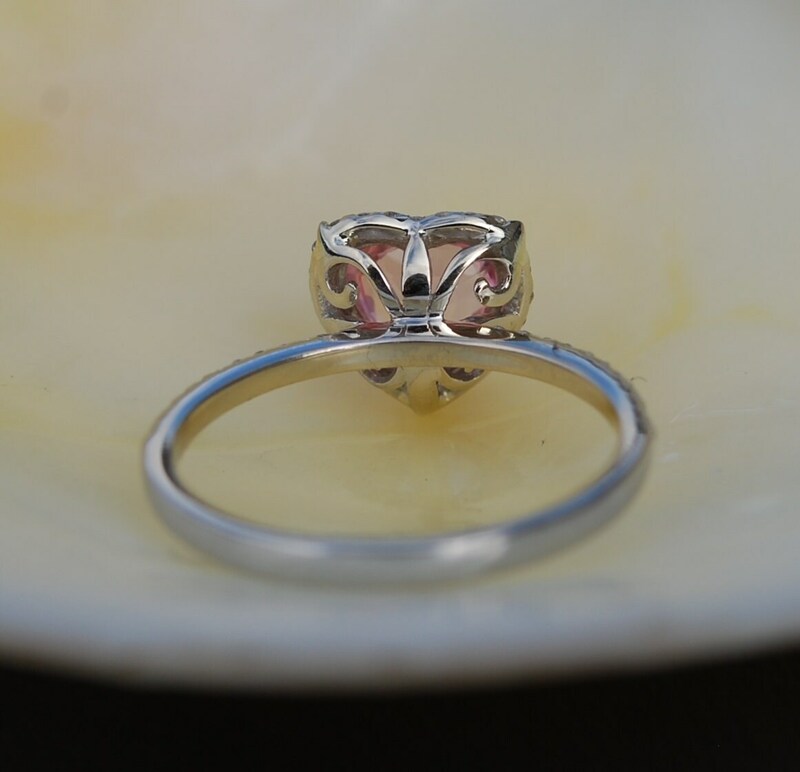 White gold engagement ring by Eidelprecious. 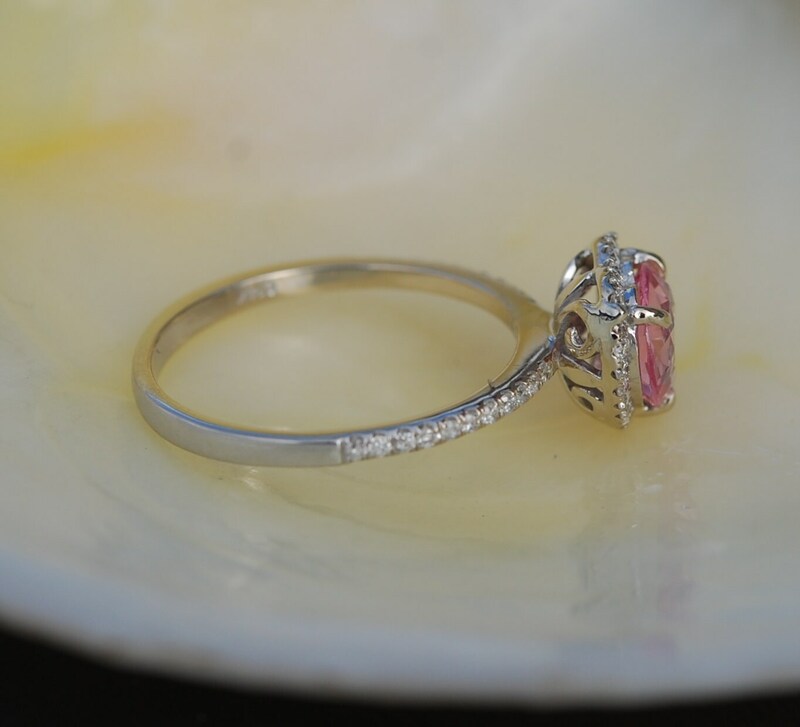 This 1.02ct sapphire is gorgeous pink color. Tones of sparkles! The sapphire is 1.02ct. Diamonds are SI/I-J, TDW approx. 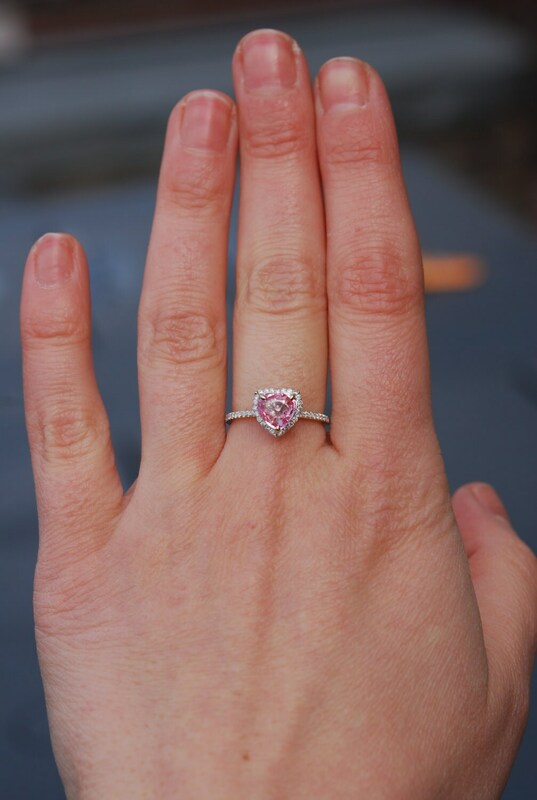 0.2ct. 14k white gold.